Sometimes the simple tricks are the best tricks! 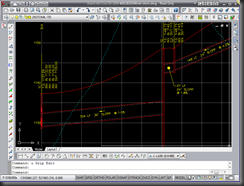 This post discusses grip editing in Civil 3D and vanilla AutoCAD. These are fundamentals for creating and editing content but some are not ‘in your face’ and go unnoticed by even the most seasoned of users. Check it out and let everyone know which you did, or did not, know (comments section). To stretch edit multiple vertices of a Pline, at one time, simply hold down SHIFT and select each vertex, let go of SHIFT, and grab one of the vertices. After selecting a grip you can revise the Base point by typing ‘B’ – for Base – and snapping to another location. You can also use this in combination with the first tip (selecting multiple grips) to raise and lower an entire run. 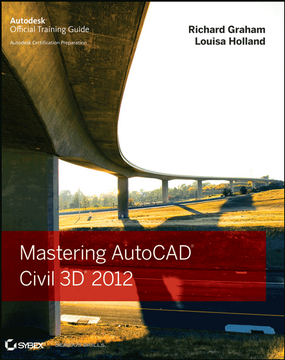 Simple enough, for those of you who are not using 2011 there is a simple solution w\in Civil 3D to removing POLYLINE vertices. You can use the Featureline Tools!! 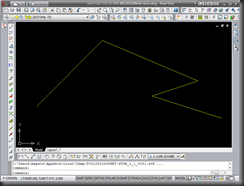 As an alternative to the above, of course, instead of using the Civil 3D Featureline tools you can Remove & Add vertices the old fashion way. 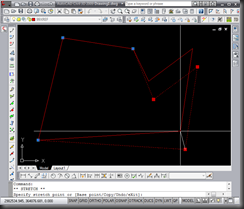 Of course, if you are using 2011 there are new tools for Adding and Deleting Vertices. I didn’t know about 3 & 4 till a week or two ago. Now with 2011 versions, you can do a nice amount of these edits by just hovering over the vertex grips or the grips in the midpoint of a pline segment. Thanks for tips 1,2 & 3. I’ll have to give them a try…no.1 for sure. Cool… I’m glade it helped! I was worried I was the only one that didn’t know about this stuff from birth. I bet more people than not, don’t know about these little tricks. A little history: for #1, about 2 years ago at one of our monthly “lunch & learns” someone was showing something cool you could do with Civil 3D to really save some time and pulled out the ‘multi-grip stretch’ trick (#1). Everyone’s jaw dropped; myself included. Even folks that have been using ACAD for 20-yrs didn’t know about multi-grip selection. I went to Vo-tech in High school for CAD (certified), when to college for my BS in Civil Engineering, worked in industry for 10-yr – always using CAD – and still just learned about #4 (the Acad Straighten command in Pedit) two weeks ago. 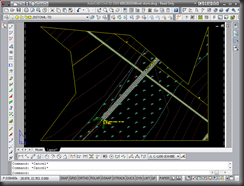 Additionally, I am – or was – the C3D “guru” at my company, trained everyone, etc… and didn’t know about #3 (that you can use Featureline Tools with standard AutoCAD Plines or Vports) until a month ago when one of our power users brought it up at, once again, one of our monthly ‘lunch & learns’. It goes to show you that even the “experts” (20+ year users and trainers) don’t know everything. 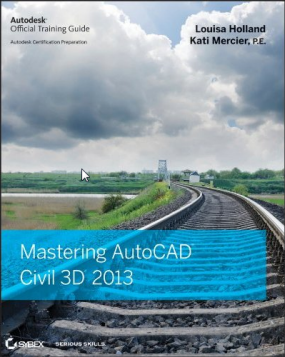 Sometimes this includes basic AutoCAD that is fundamental to speeding up the use of Civil 3D! I’ve been having a problem with item #1. For some reason it only works for me in paper space. When I try to do it in model space some image selection box pops up. Any solutions? Evan, probably the Mapioptions has the “Shift + Left click to select images” option checked.